This smart plug works over Wi-Fi and with the Amazon Echo, Google Home, and—come this fall, Belkin says—Apple’s HomeKit ecosystem. Belkin’s Wemo Mini Smart Plug fits into its growing family of smart-home hardware, and you manage it and other devices through the company’s Wemo app. At $34.99, it’s a relative bargain, because Belkin enables remote control, rules, and scheduling via its own app. 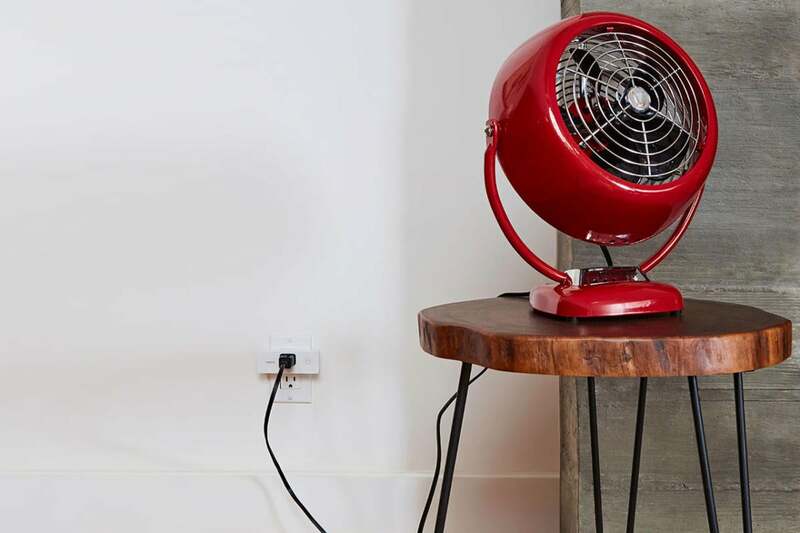 The plug operates over Wi-Fi, and it supports the Amazon Echo, Google Home, Nest, and IFTTT. It’s not compatible with Apple’s HomeKit ecosystem today, Belkin announced plans in late May to ship a bridge this fall that will render its entire Wemo line HomeKit compatible. The company did not disclose the price of the bridge. Belkin has since shipped a HomeKit bridge that makes the system compatible with Apple's smart home platform. Setting up a Wemo smart plug is a little tedious, as with most smart-home devices, because it lacks special sauce that can allow pairing without network switching. Instead, you plug in the Wemo, find its temporary Wi-Fi network name in your smartphone or tablet’s list of Wi-Fi networks, and connect to it. Then you return to the Wemo app, which completes set up, drops the Wi-Fi network connection, and lets you finish configuration. The Wemo Mini Smart Plug can control otherwise dumb lamps and small appliances. During my setup of one of two identical units, after switching to the device’s Wi-Fi network and returning to the app, the app said I needed to have an internet connection to proceed. I switched my connection back to my home network, returned to the app, switched back to the device’s Wi-Fi network, and then back to the app again, and it worked fine. The other plug didn’t experience this problem. 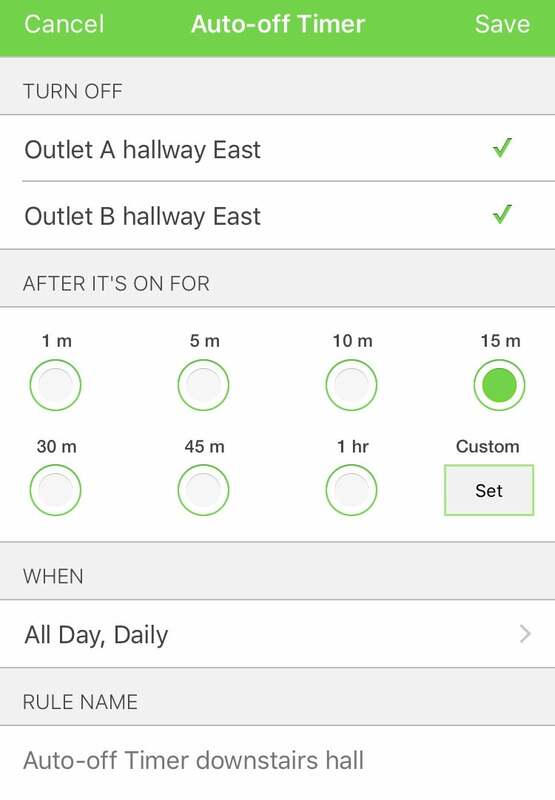 You can program a Wemo smart plug to turn off a specified amount of time after it’s been turned on. You can set up two kinds of rules: to turn the switch on and off (including just turning on and leaving it on), and to turn off a switch after a preset period of time following it being turned on. You can also set up an Away Mode, which lets you pick devices, which are then turned on for various periods of time (at least 30 minutes) when the mode is enabled. Belkin doesn’t require setting up an account for remote access, which offers me some concerns about remote access. Ostensibly, Belkin creates some kind of unique code that links your smartphone or tablet to its devices, and then requires that token from the app when you’re accessing remotely to reach into your network and talk to the smart plug or other hardware. That’s not a bad approach, because the initial pairing requires physical proximity. This might make some people uncomfortable, however, if you prefer to have smart-home access either tightly tied to an account or no remote access at all. Remote access can be disabled with a tap, and the Wemo units can still be set up with rules and schedules, which apparently download into the devices. Because there aren’t any accounts and no support for ecosystems like HomeKit, you can’t share permission to use the smart plugs except through Alexa or Google Home voice control (we’ll have to see if the HomeKit bridge changes that limitation). Nest is used for coordinating away/home scenes. That makes the large front-positioned button and LED power indicator on the Wemo Mini Smart Plug even more necessary. 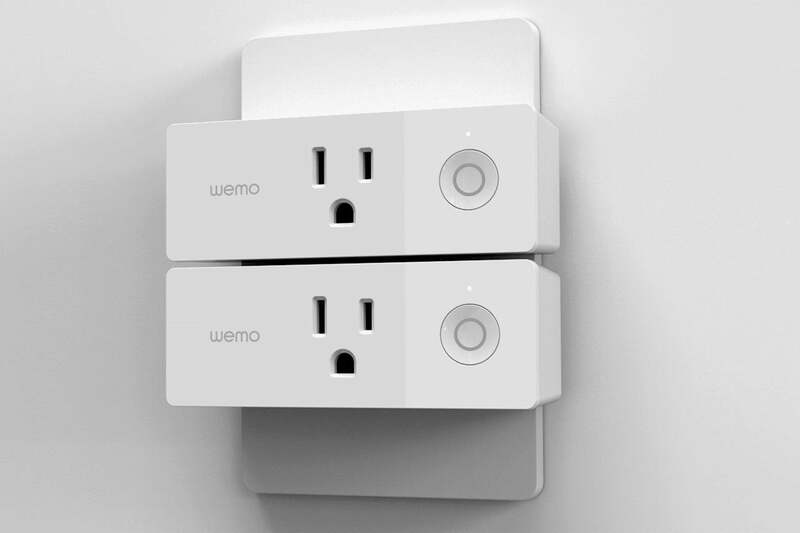 Two Wemo Mini Smart Plugs can fit into one outlet, so one won't prevent you from plugging something else in above or below it. The smart plug has a compact form horizontal form, blocking just its own jack in a two-outlet fixture, giving you room to plug in a second Wemo Mini Smart Plug or another power cord. One bit of cuteness is maybe unnecessary: the manual rotates the orientation of the flattened circle found in some grounding pins 180 degrees in device setup instructions. Why? Pointed flat side down, an outlet graphic looks like it’s frowning! Belkin turned that frown upside down, even though it’s technically inaccurate. This Belkin smart plug would be best suited for a home that’s either all-in with Wemo, has no other home-automation needs, or uses Alexa or Google Home to coordinate smart-home behavior. 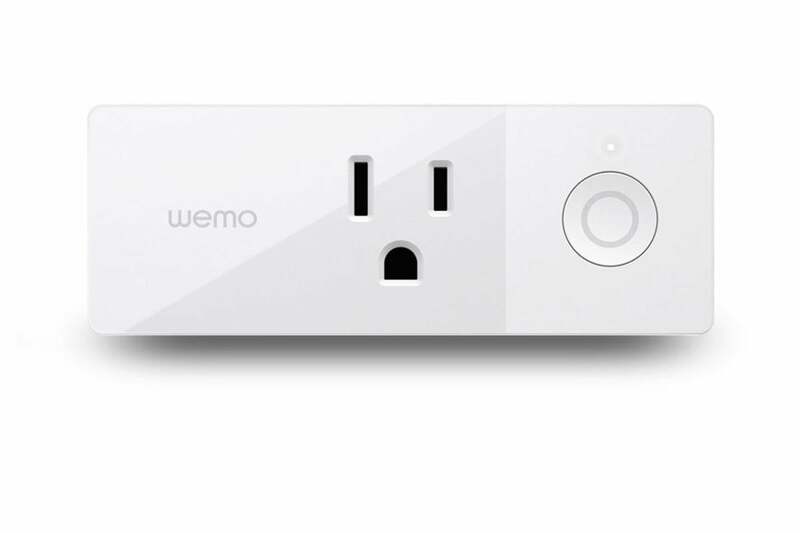 This is an inexpensive option to add a smart plug, but remote access requires use of Wemo’s account-free cloud infrastructure.